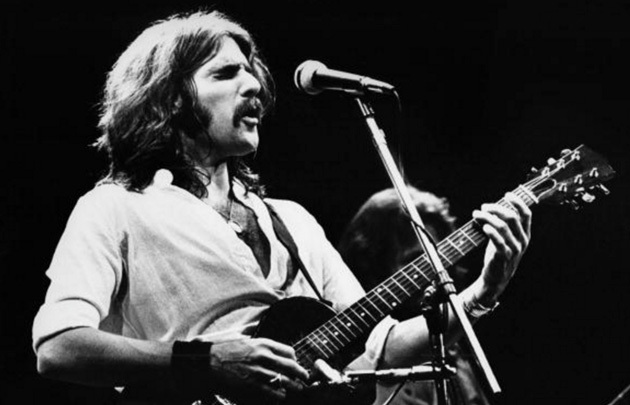 Glenn Frey, founding member of the Eagles, guitarist and lead vocalist on tracks as "Take It Easy", "Tequila Sunrise", "Lyin' Eyes", "New Kid in Town", "Heartache Tonight" etc., died yesterday January 18 in New York City at the age of 67. Frey had been battling intestinal issues for months and had surgery in November. In the last few days his condition took a turn for the worse. "It is with the heaviest of hearts that we announce the passing of husband, best friend, father, comrade, and Eagles founder, Glenn Frey, in New York City on Monday, January 18th, 2016. Don Henley - Joe Walsh - Timothy B. Schmit - Bernie Leadon - Irving Azoff"
Detroit-born Frey and Don Henley co-founded the Eagles in 1971 in Los Angeles after playing backup for rock singer Linda Ronstadt. During the band's career Frey co-wrote classic songs such as "Hotel California" and "Desperado" with Henley and took home 6 Grammys. After their breakup in 1980, he embarked on a successful solo career and went on to record Top 40 pop hits such as "The Heat Is On" and "You Belong to the City". He also head an small acting career with minor roles on TV and cinema. In a statement Son Henley praised Frey as the "one who started it all" for the Eagles: "He was the spark plug, the man with the plan," he said. "He had an encyclopedic knowledge of popular music and a work ethic that wouldn’t quit. He was funny, bullheaded, mercurial, generous, deeply talented and driven".